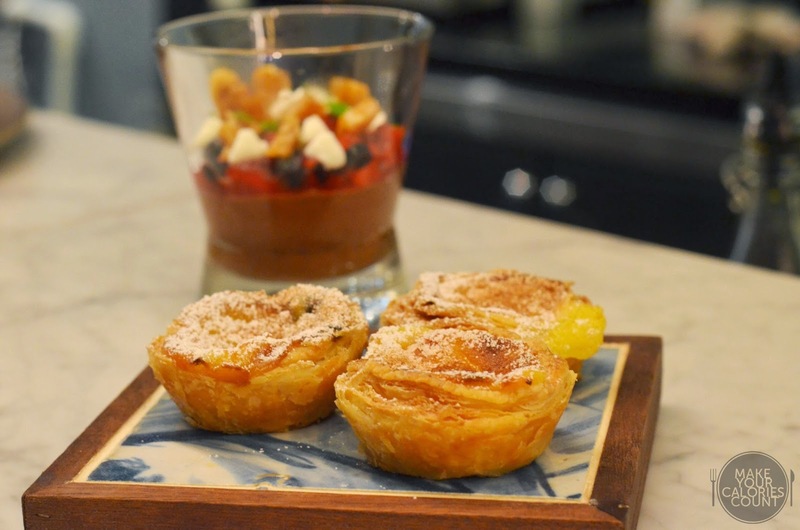 Having tried Portuguese cuisines on several occasions in Macau, it is surely not something new to me. On the contrary, I was really looking forward to tasting and experiencing the authentic "feel" again. 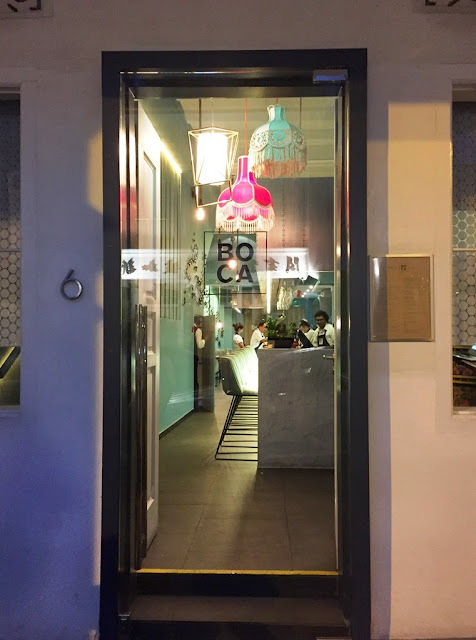 Nestled among the many restaurants in the Outram Park & Tanjong Pagar area, BOCA was set up by a group of Portuguese friends working and living in Singapore collectively for over 20 years and launched earlier this year in January. BOCA, which means "mouth" in Portuguese, offers classic home-style dishes using specially imported ingredients from Portugal, which include olives and extra virgin olive oil from Southern Portugal; almonds from the Douro region; the ubiquitous bacalhau (dried and salted cod) which is said to have more than 365 recipes to cook it. 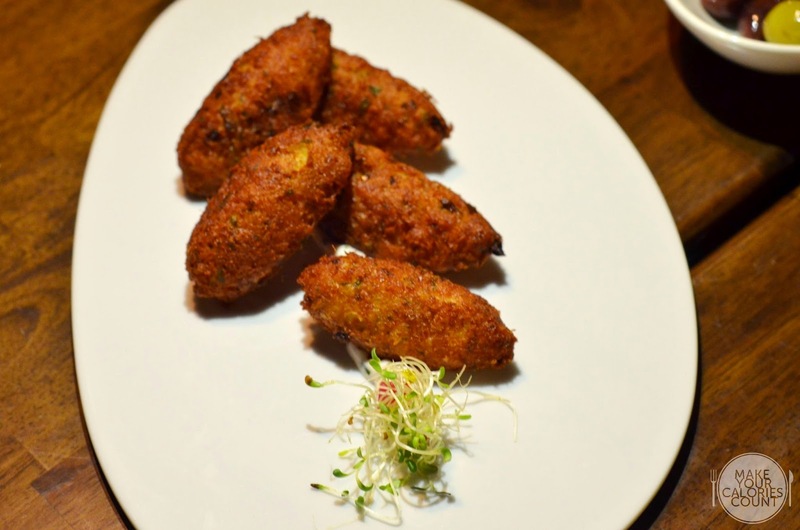 It is interesting to know that this "national ingredient" bacalhau has been an important food for the country. Fishermen would sail to Newfoundland and fish for the cod, it was then dried and salted on the long journey back to prevent it from spoiling. This beloved ingredient is widely used in many dishes nowadays. 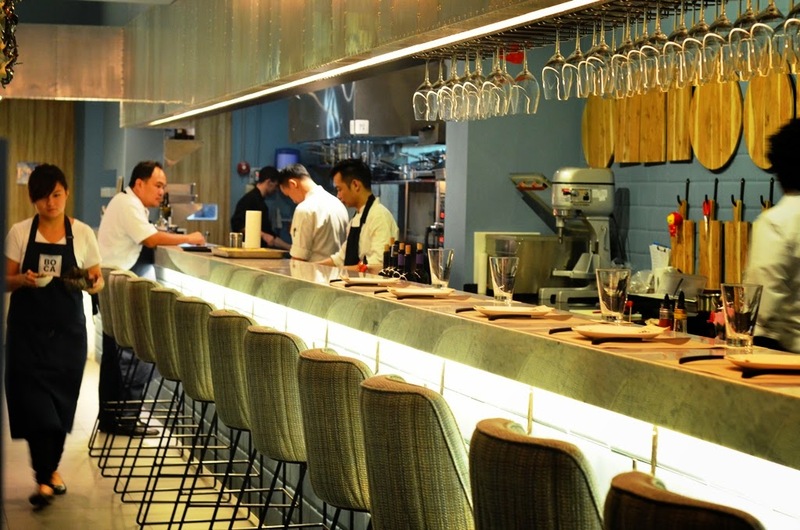 1st floor features "tasca" bar seating by the open kitchen for "petiscos" little plates of Portuguese snacks and nibbles. You get to see chefs in action! 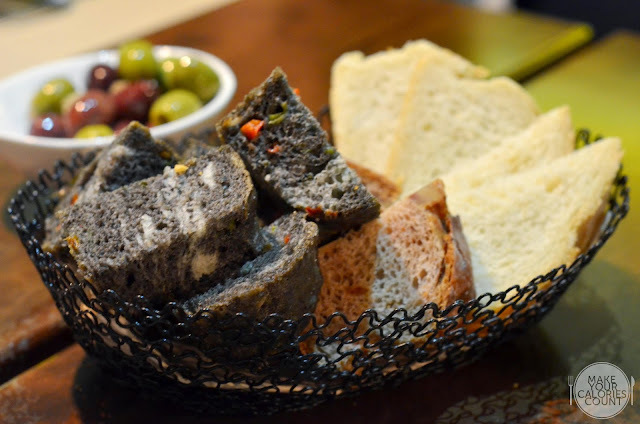 Welcomed by this lovely bread made of squid ink and other flavours, they were so addictive especially when it was paired with the imported olives and extra virgin olive oil! We had to stop ourselves from getting full before the meal even started! 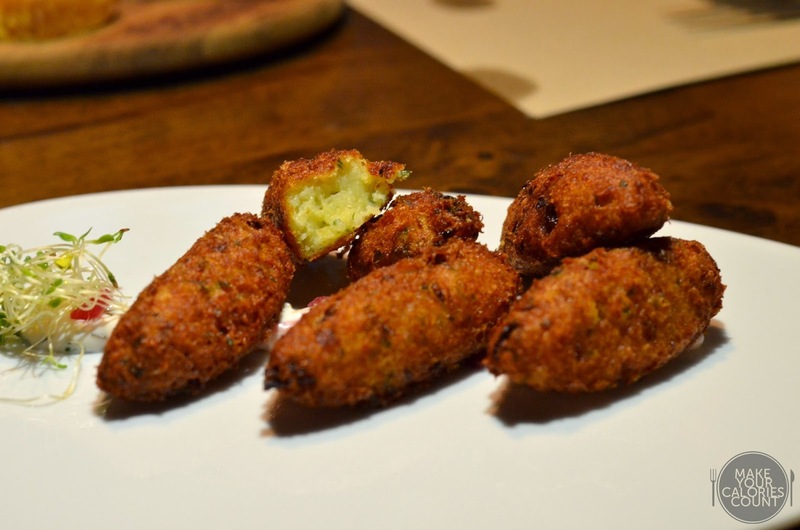 One of the popular ways to cook bacalhau is to fry the batter mixed with potatoes and parsley. Fried till perfect golden brown - crispy on the outside, flavourful on the inside, it was complemented well with pickled mayonnaise. My favourite starter of the day! While it looked simple, it required long preparation time as the octopus was blanched several times to achieve tenderness. Another violent way to do it would be to beat it against a hard surface to stretch the fibres. 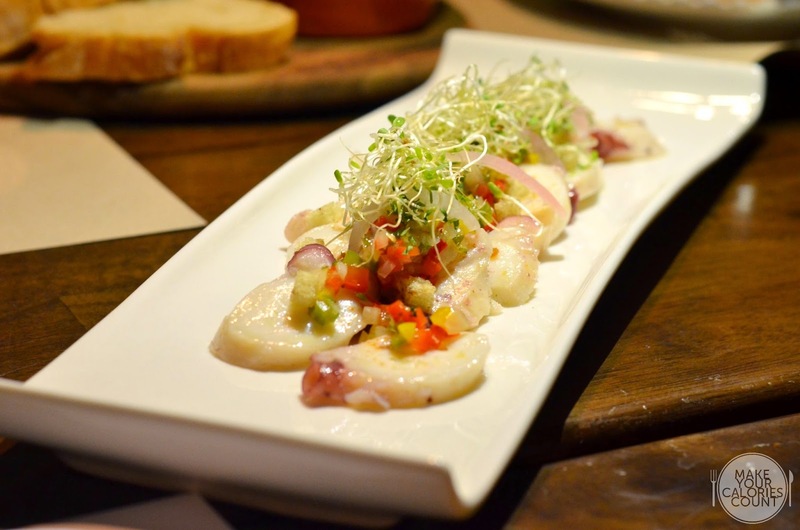 The octopus was thinly sliced evenly and adorned with crunchy capsicums, crispy garlic, red onions, cilantro, vinegar, extra virgin olive oil and smoky paprika. Couldn't resist the delicate texture and enjoyed that it was not too rubbery! 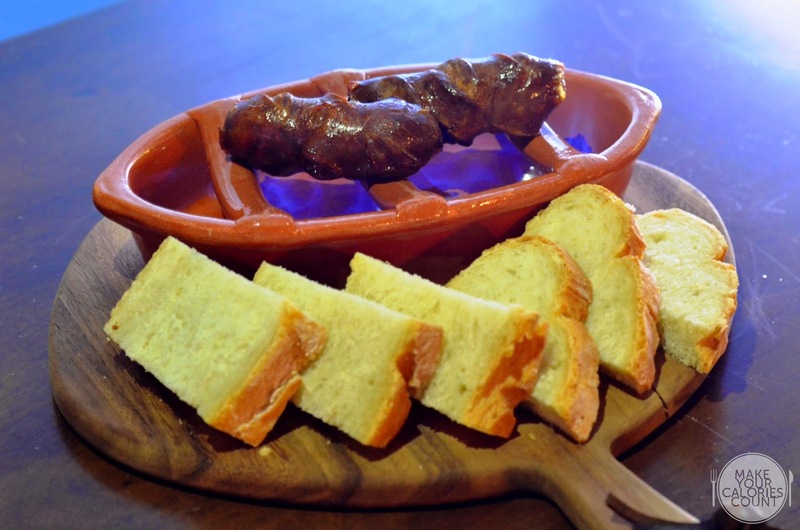 Another common dish and a must-have at any Portuguese restaurant, the sausage made from pork, wine, garlic, salt and paprika was flambéed with brandy. For gimmick purpose, it sat atop a lattice earthenware, it was flavourful but the only let down was the skin which was a bit tough to slice over. 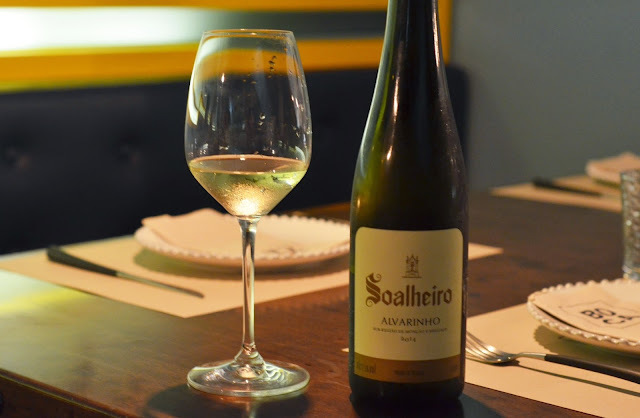 Offering more than 50 wine labels and spirits from different wine regions of Portugal, what I appreciate is an in-house certified sommelier who was there to recommend diners of what's best to pair with the food they are ordering. 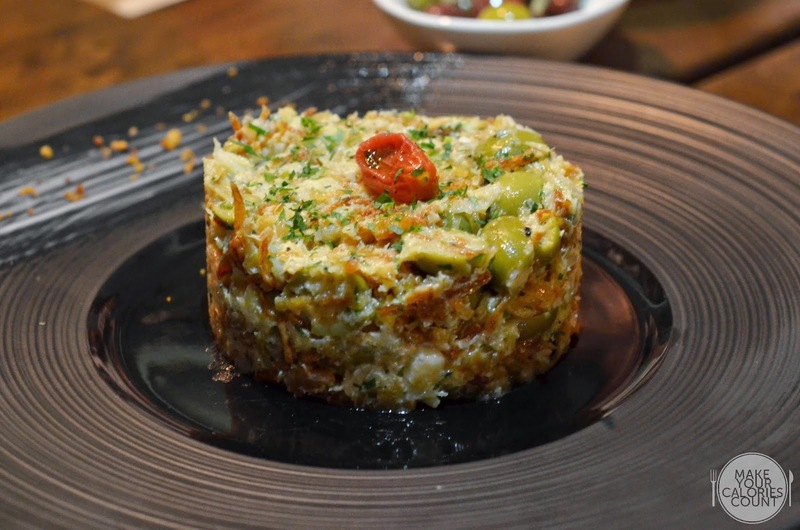 Pressed and packed in a cylinder form, the codfish is mixed in with deep-fried shredded potatoes, caramelised onions, confit cherry tomatoes, olives and a beaten egg. This has to be my favourite main of the night, but I would prefer it without the olives, which you can inform the staff upon ordering. We initially thought that it's a porridge dish but it was apparently a bread-based casserole. The chef first age their homemade bread for two days before soaking it into the shrimp stock, which was then simmered in a pot, stirred and thickened to porridge-like texture. 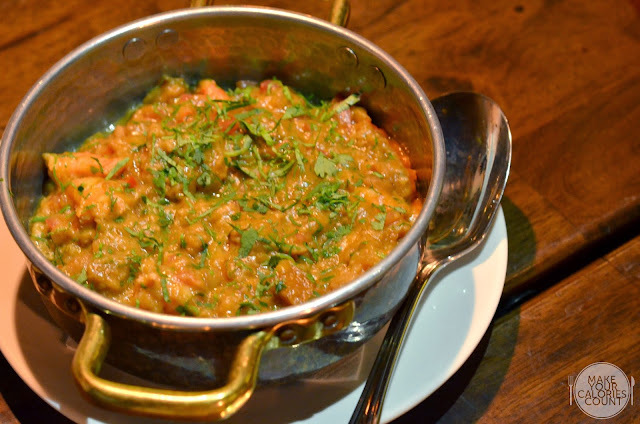 The above two dishes might look mashy and unattractive but the flavours were spot-on and kept me going for second helpings! 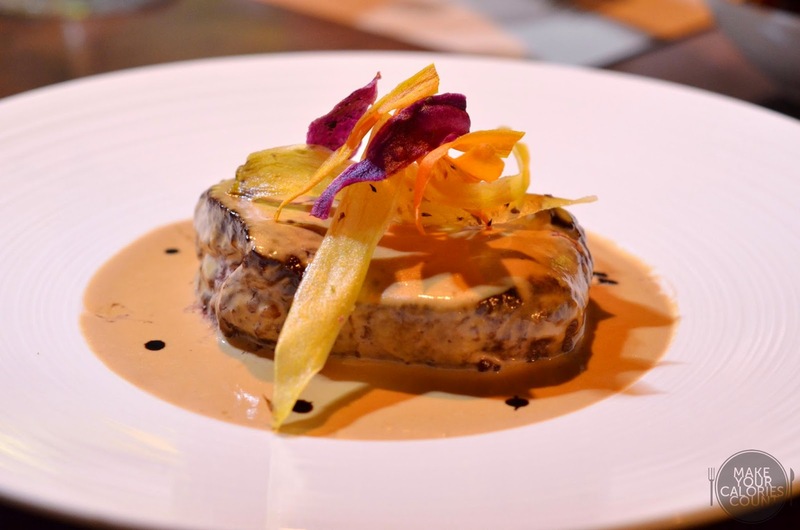 200g Australian tenderloin which was grilled to medium-rare and covered in robust and creamy coffee sauce made of a shot of espresso, mustard cream and a dash of cognac. 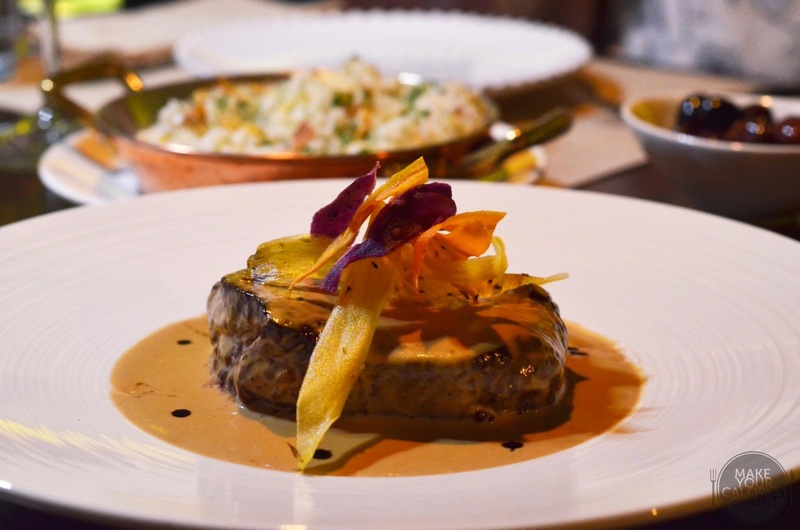 A plate of almond rice (at the back) was served to go along with this lovely steak, which was cooked with garlic, onions, herbs and dollop of butter to lift to the next level. 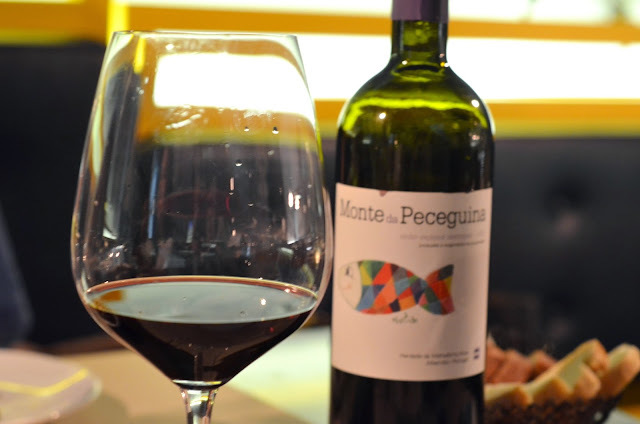 This red was not favoured at the table as it tasted rich and full-bodied, but I personally felt that it went really well with the flavoursome red meat. 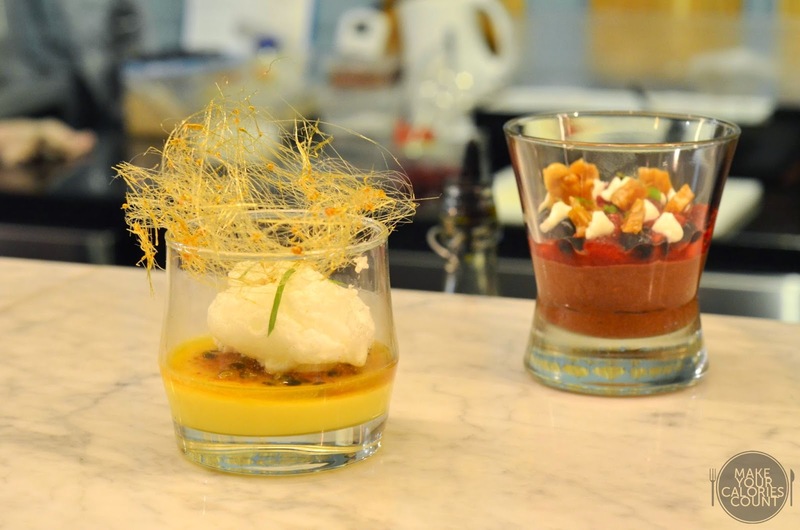 A photogenic dessert to end our meal, light egg white cloud sat atop vanilla custard dusted with cinnamon, layered with passion fruit coulis and shredded basil, lastly topped off an artsy sugar nest spun by chef (see below). It was perfect to clear our palate after a series of exciting flavours. 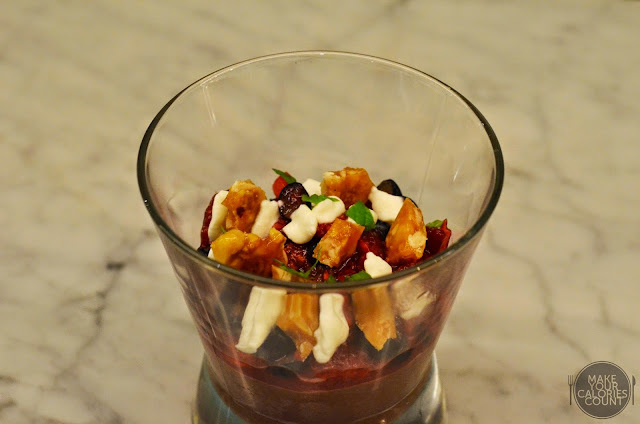 Lots of crunchy, chewy elements going on on top of the velvety valrhona chocolate mousse, such as the tangy cognac dried red berries, lemon cream and crunchy hazelnut praline, nice contradicting textures and flavours indeed. Being a die hard fan of egg tarts, it was my first attempt to try this varied rendition of what is usually available in Macau. The filling tasted more custardy than eggy, the flaky puff layers were more crisp and distinct, it was also dusted with cinnamon and icing sugar before being served. 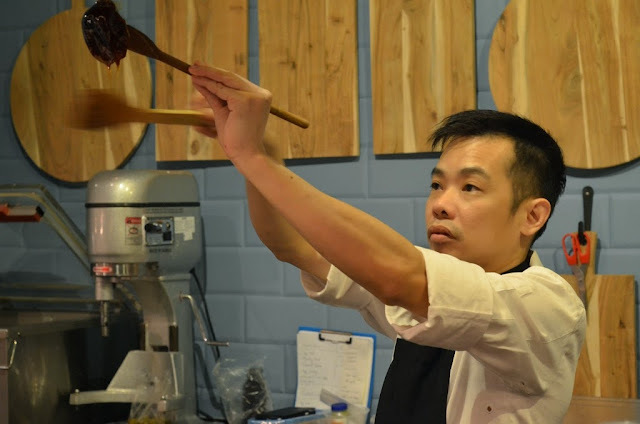 This is a must-try as chefs only produce 20 pieces a day, and this is probably the only place you can get it in Singapore! 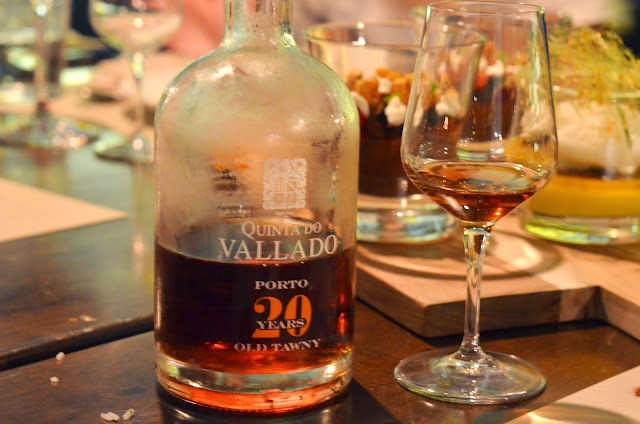 This Portuguese fortified wine is a sweet red wine, and often serve as dessert wine, I like it a lot but it seemed too heavy for my companions. 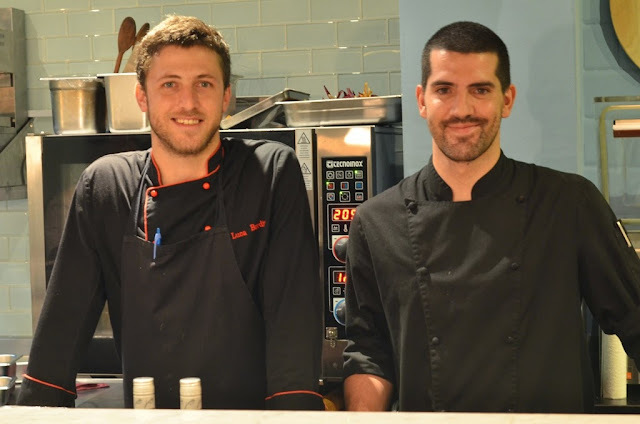 Kitchen is helmed by Chef Luca Bordino (previously at Ritz Carlton Penha Longa Resort) and Chef Francisco Vaz (previously at Pateo do Petisco) Both natives of Portugal. 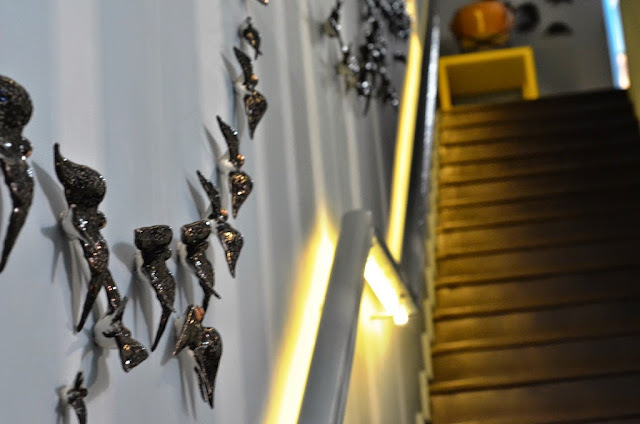 Black swallows "andorinha", a national icon in Portugal leading you to the next level, there are 700 of it throughout the entire restaurant. 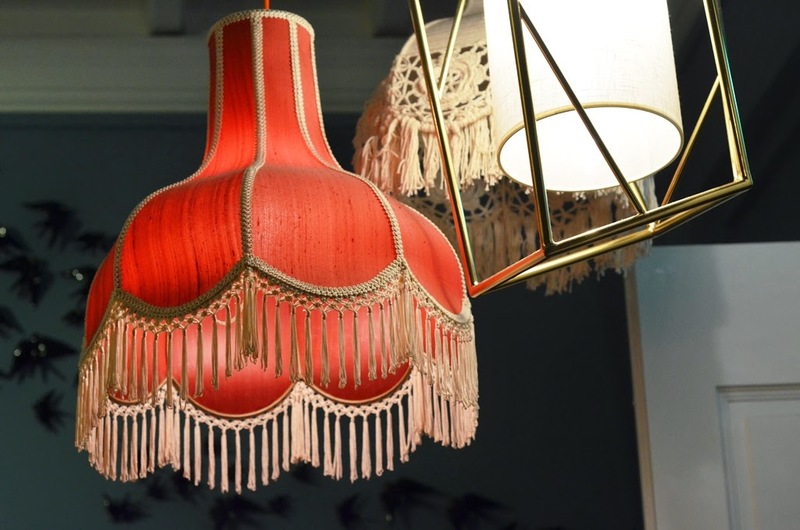 Signifying family, loyalty and love which echo the soul of the restaurant. 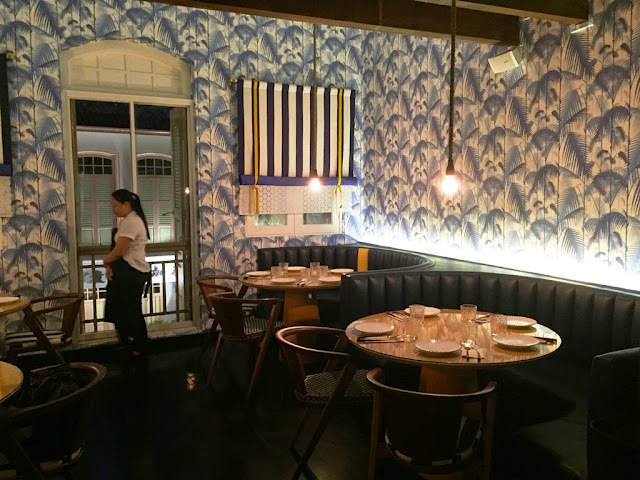 2nd floor is a full-dining experience in comfy booth seats with walls of blue palm trees; the 3rd floor house their wine cellar for wine aficionados to savour Portuguese wines. A rare find filled with passion and the staffs were approachable and friendly. 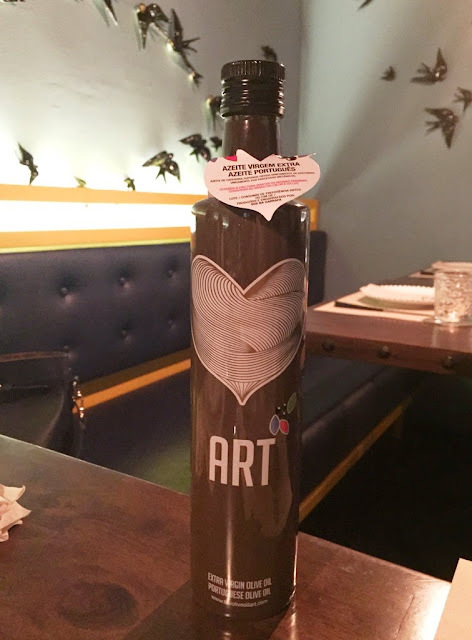 I especially enjoyed the cosy and romantic level 2 which is perfect for couples or even groups of friends to spend a night enjoying their authentic food and pairing with the quality wines that hardly get elsewhere. 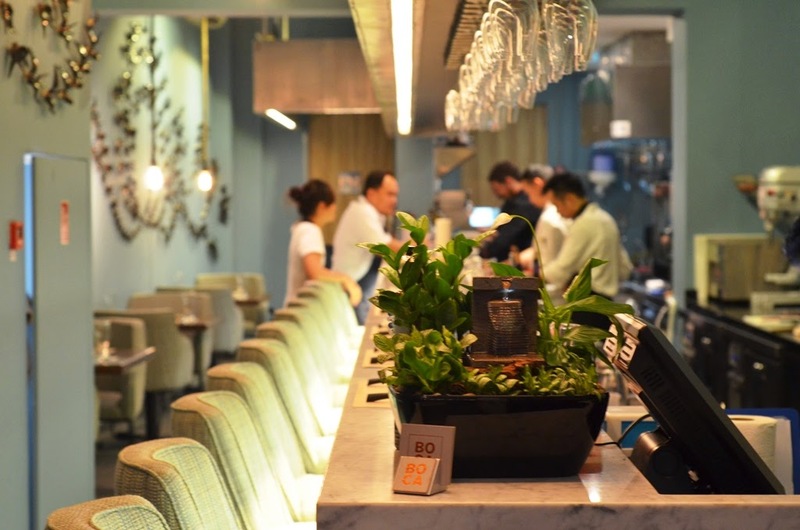 As it's the one and only Portuguese restaurant in Singapore, do let me know if you have come across any! P.S. Special thanks to Jeanette for the invitation and BOCA for having us!